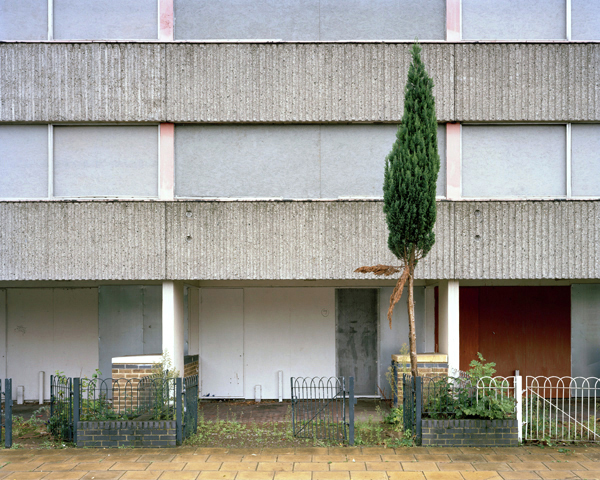 Simon Carruthers has been investigating the Ferrier Estate in South London for our project Degeneration. 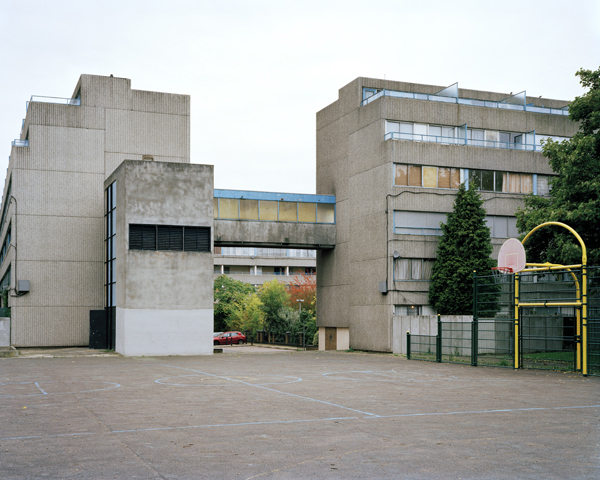 Designed by GLC Architects and built on a former RAF site, the Ferrier estate occupies 276 acres in the London borough of Greenwich. The huge estate was constructed between 1967 and 1972 and originally consisted of 1,910 homes, intended to house around 5,000 residents. 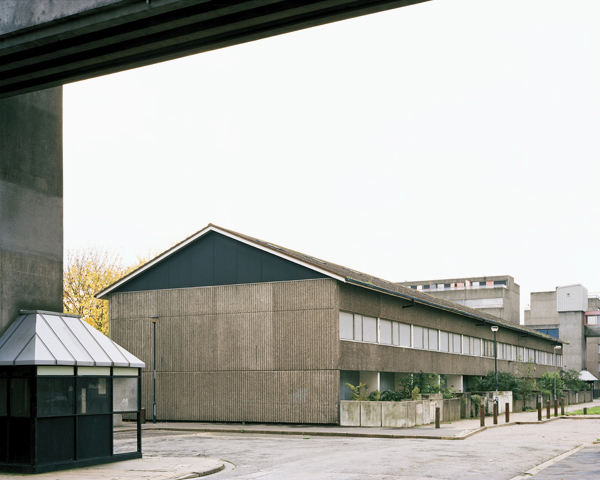 Such schemes was seen as the future of social housing and described as exemplar and progressive at the time. The Ferrier consisted of eleven 12-storey towers interspersed with low-rise maisonettes, all built from concrete panels. Under the ‘right to buy’ scheme, introduced in 1980, 160 of these homes were purchased from the local authority. From 2006 Greenwich council has been decanting the residents from the entire estate to make way for redevelopment. The few remaining households are typically those who took advantage of the scheme and now say they have not been offered enough money by the council who want to buy back the properties and therefore cannot afford to move on. One resident that I spoke to showed me a photograph of the tin roofed prefab that the council has offered him and his wife in place of their 3 bedroom maisonette. 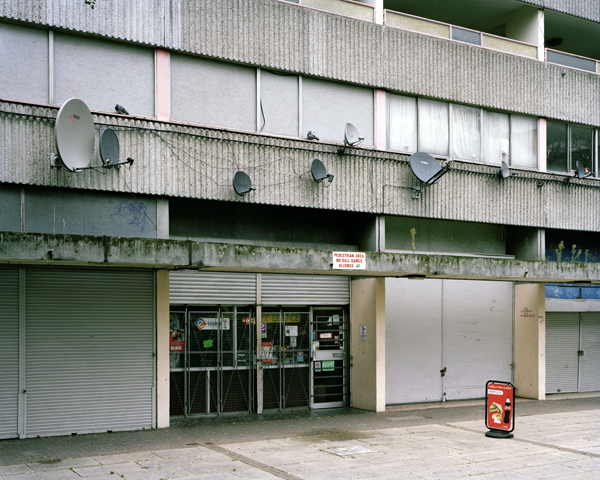 Most accounts of the Ferrier estate during the 1970’s and early 1980’s are positive (rose-tinted glasses possibly plays a part in this) and the general consensus is that some time during the mid 1980’s the estate began to see serious social problems. 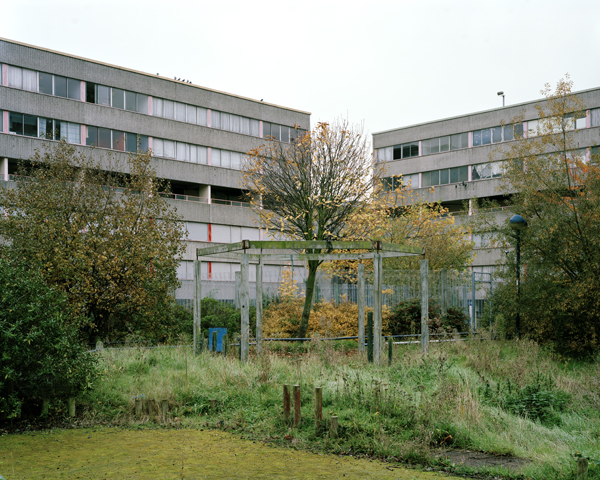 The 1997 film ‘Nil by Mouth’ shot on the Ferrier cemented the estates by then notorious reputation. Unemployment rates were as high as 75% across the estate and crime and violence became endemic. The Kidbrooke regeneration proposal is a £1billion scheme to demolish the Ferrier estate and replace it with a new community. The regeneration will include the construction of 4,398 new homes (over double the density of the former Ferrier estate! ), 300,000 ft² commercial and retail space, a new 100-acre park, a new school, and additional features. 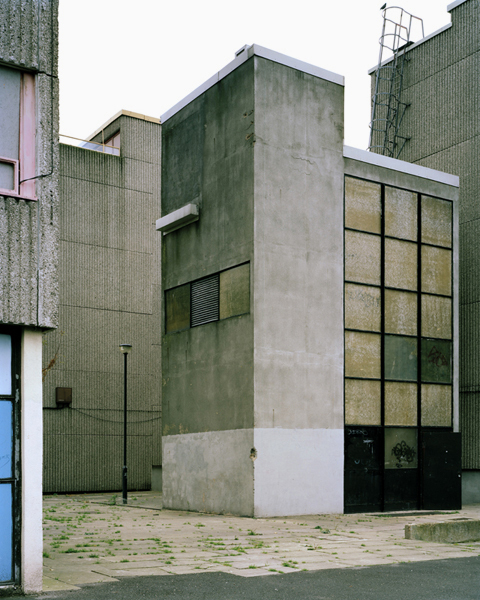 Currently the estate is a virtual ghost town as the few remaining resident hold out for a better offer from the council while the decaying estate is slowly dismantled around them. as someone that grew up on this estate from a baby till in my twenties i have very strong views on this place. i’d like to put you striaght on one aspect of this artical though. this estate wasn’t built as “social” housing, it was built as council housing. i didn’t know a single kid on that estate whos parents didn’t work and pay their rent and service charges. in fact, when my parents applied for a place on that estate they had to prove they earned enough to pay the rent and charges. everyone was veted before being offered a place. it was a real community that had everything you could possibly want from schools, doctors and dentists to supermarkets, sweet shops, green grocers butchers a bank, a church a library, the list is endless. i don’t know a single person that grew up there that regrets growing up there. the problems started when the council for unknown reasons decided to start dumping problem famillies on there. eventually only unemployed people could get a place there and every time a decent family left they were replaced with scum bags. it’s a terrible shame what the council done to this place. believe me, it wasn’t rose tinted glasses, it REALLY was a fantastic place to bring up a familly. i only wish these places still existed, i’d give anything for my kids to have what we had on that estate, instead of the soleless misserable suburban streets that are left as the only other option.